I'm still not sure I understand about the 6 layers, so just to make sure,my flower is 6 layers, using 3 shades of vellum. I stamped the base background using the Raindrop Background, and the 2nd is a printed dp from pinkpaislee. Since this uses another of my favorite stamps, I'm also entering it into the Simon Says Stamp and Show "Your Favorite Stamp" challenge. 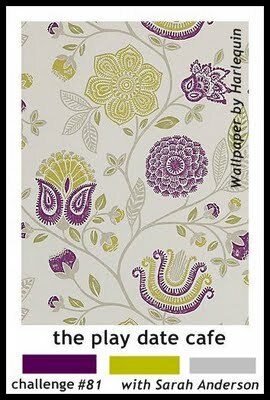 The Play Date Cafe challenge this week is another splash of color: black and white and a splash of green, and the DT is saying farewell to one of their founders, Sarah Anderson. 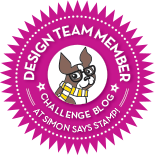 Simon Says Stamp and Show has a fun challenge I just had to enter; we're supposed to use our favorite stamp! I guess for me it's still the Hero Arts Hydrangea, but I also threw in lots of other stamps that I love to pair it with. 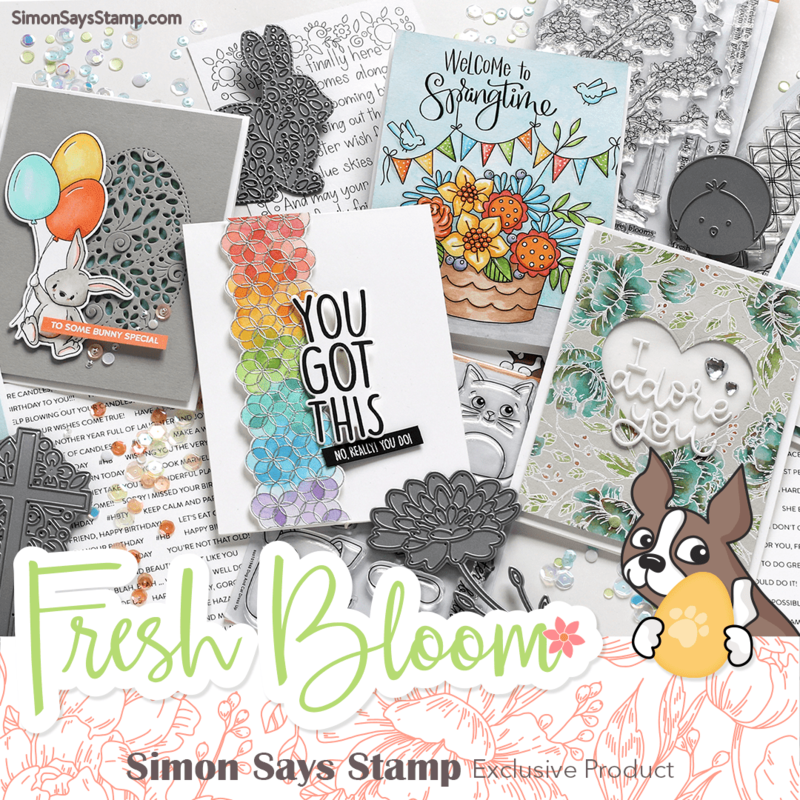 You cannot make a mistake with the hydrangea stamp - you can color it, stamp it in colored inks, use it as a background - it always turns out right. 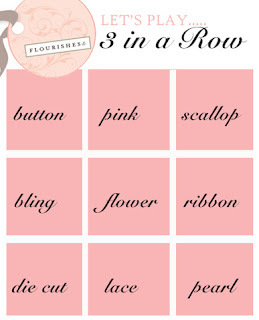 I think, though, that this is the first time I've done it all in pinks. Look at my flickr photostream to see how many times I've used this stamp. Starting with an ivory parchment card, I white embossed the doily, then shaded the card with victorian velvet, worn lipstick and antique linen distress inks. Then I overstamped the manuscript background, ferns and butterflies. The hydrangea was stamped, watercolored and cut out, then popped above the postcard, adding some seam binding and my tiny tag. Edited to add that this card was published in CREATE: Stamping, February 2013. We are celebrating Deb's birthday this week, so here is a birthday card for her. I decided to look back into my old archives of my past work, and did a version of a window card from 2009. The original idea came from my friend Kathy Racoosin. 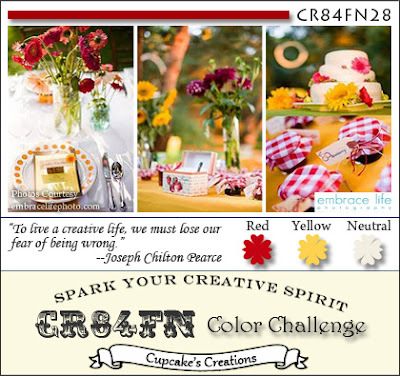 Now, go on over to CR84FN and see what the Design Team has in store for you! And since my flowers make a frame of sorts, I'd like to enter this into the City Crafter Challenge "I've Been Framed". 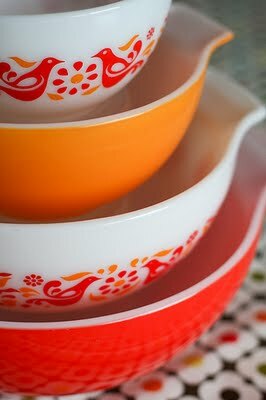 I was blog-hopping this afternoon, and found this Less is More challenge on Rosemary's blog. The challenge is called "Pick a Square". 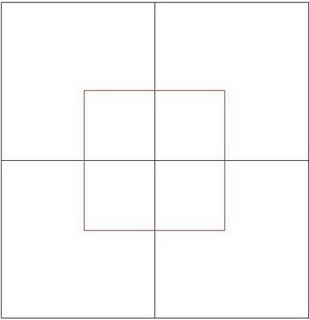 This is a CAS challenge, and we are to use this sketch, but use ONLY ONE of the squares in it. I chose to use the bottom right square and 2 digital images from Vinnie Pearce (her mini Dream Kit). I used one of her digital papers, this impressionistic meadow, and added the butterfly. After printing it out, I then stamped my sentiment, curving it to resemble the butterfly's trail. Really different, isn't it? I would never have thought of doing anything like this, but that's why I love new challenges; they stretch us in ways we sometimes never imagine. Go and look at the gallery for this challenge if you want to see some imaginative work! With a change of sentiment, this would make a nice wedding card, don't you think? Embellish Magazine has an interesting challenge this time, to incorporate text into our creation and use the colors in the color board below, greys, black and white. Hero Arts is sponsoring this challenge! 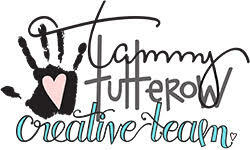 Recently the Graphics Fairy shared a digital silhouettte and that led me to searching Karen's site for more. I found this sweet one, sized it down and printed it, then overstamped this stamped text image from Hero Arts, and then added some framed dp panels and my sentiment to finish my card. This week at the Play Date Cafe, they are saying goodbye to Sarah Anderson, one of the founders of that challenge. 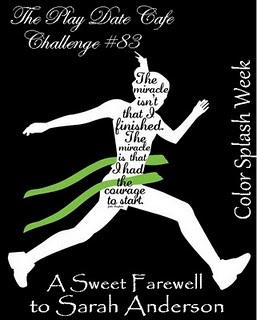 Since Sarah's favorite challenges were color splashes, our challenge this week is to make something black and white with a splash of green. The color splashes have been a surprise favorite of mine, too, so here is my simple entry, wishing Sarah lots of happiness in her new endeavor, as she spreads her wings. Sarah will most definitely be missed! She and I share a love of gardening, and her accompanying card and a special goody reflected that. Thanks, Marcy! I love them! The clear one on the left is a CASE of one I have from Jennifer McGuire, and the one on the right is a take on a card I recently made. I had to play when I saw this fun Tuesday Trigger at Moxie Fab World! I haven't been able to play at CASE Study lately, but I'm sneaking this one in at the last minute, because I loved the example. I'm also entering this card into The Ribbon Reel "Shabby Strawberries and Cream" challenge. 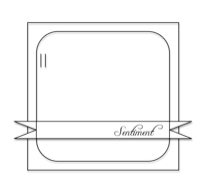 I overlaid a music dp with a piece of embossed vellum. My flower is layered using part of a silk flower as the base, then a ribbon flower that my friend Mary Anne gave me this weekend (they come sewed onto a strip of netting, which you then trim out). The final layer is a Martha Stewart paper rose. I've had this pretty embroidered ribbon forever; have no idea where it came from. I added a few pink pearls along the embossed flourish. 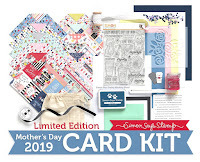 Please visit the CR84FN blog to see the amazing cards by the design team: Mona, Suzanne, Deborah, Heather, Stephanie, Sue, Andrea, and Lisa . We got to choose a set of Lawn Fawn stamps, and I chose the one called Bannerific. 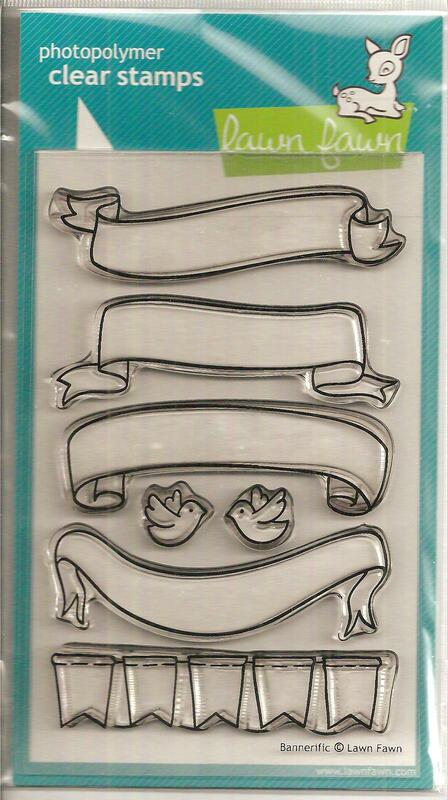 I have loved it from the minute I saw it - I love that the banners and birds are simple designs, easy to cut out when I need just a little somethin' to hold my sentiment. I wanted to use papers as much as possible rather that other stamps, so I started with this pastel background paper to give a garden effect, added a die-cut trellis over it (thanks Yvonne! ), and then made a little climbing rose to go up towards the banner. Our gardens make me smile, so that's my sentiment. 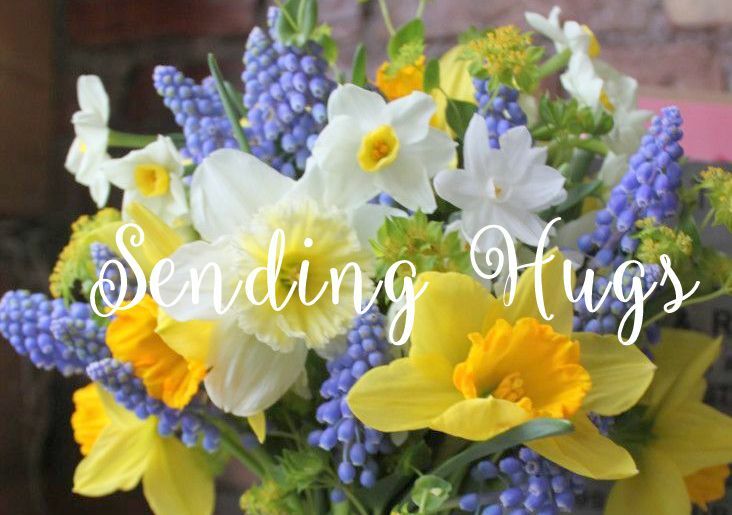 Don't forget to hop on over to Lily Pad Cards to see what the rest of the Design Team made this week! Wait 'til you see - they are real stunners! I used a digital flower from a Hero Arts set called Poetic Petals, along with 2 Hero Arts stamps for the background and the sentiment. 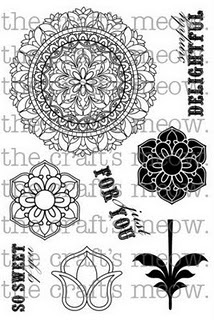 I love the Girls' Paperie design papers.....sigh. So I decided to make a card that showcased the papers mainly. All I did was add some die-cut felt roses and some pretty crochet lace. I love the way the felt roses turned out - they went together like butter! Joan's Gardens is a new challenge for me, and I loved making this according to her specifications, to use an embossed background, and to incorporate flowers, flourishes and butterflies, all things that work nicely together. 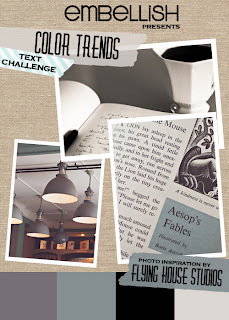 The Shabby Tea Room's current challenge is to go monochromatic: only one color with a neutral. At Mark's Finest Papers, we are to use monochromatic blues. And finally, I'm also entering this into Hero Arts Fabulous Flowers challenge, running all month long. This is my current favorite flower, and the leaf flourish is an old favorite - I like them paired up! 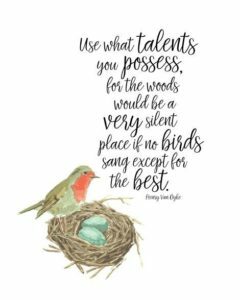 Look at this fun graphic that Mona put together for us this week at CR84FN, and I love her quote this week, too! I recently got the PTI Friendship Jar set and the accompanying Spring Fillers. My flowers are actually the tulip bunch from that set, covered over with these Hero Arts daisies, stamped on lots of yellow or gold patterned papers. I added a layer of vellum over the stems to give the effect of an opaque canning jar, a bit of red gingham ribbon and some lace around the top of the jar, and the doily seemed a good backdrop. 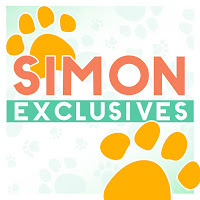 Don't forget to visit the CR84FN Design Team's blogs: Mona, Suzanne, Deborah, Heather, Stephanie, Sue, Andrea, and Lisa. I can't wait to see what they did with these fun colors! 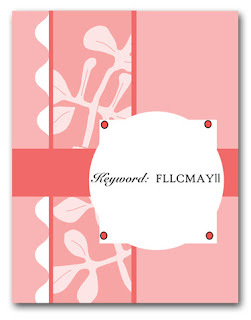 If you are here for my Lily Pad Cards post, please click HERE. I'm calling these eggplant, olive green and grey. I was a little unsure about them, but I really like them together! 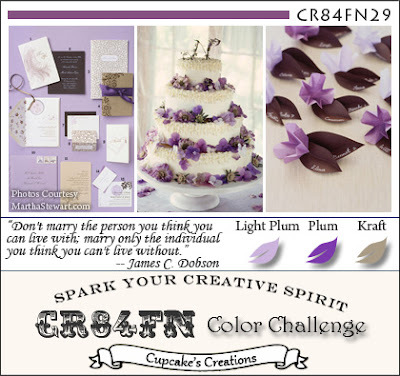 Here is my entry, using my new Verve stamps that I just won, a set called "Bloom and Grow"! I found both a little bit of this pale grey cardstock and some of the eggplant in my stash. 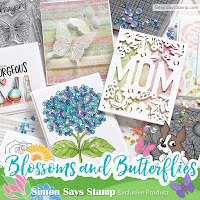 One of the reasons I loved this new stamp set so much was the leaf sprigs; they are a nice size (actually there are 4 different sizes) and there are a variety of flowers to go with them. See the set HERE. I used distress inks for my stamping. I was just about to do this post yesterday when Blogger went down - "did I do that?" (said in my Urkel voice) Anyway, let's try this again! 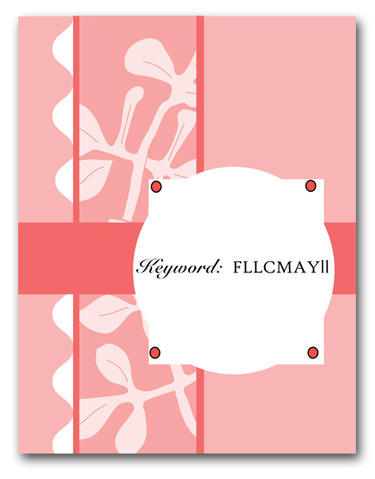 If you are here to see my Lily Pad Cards post, please go HERE. 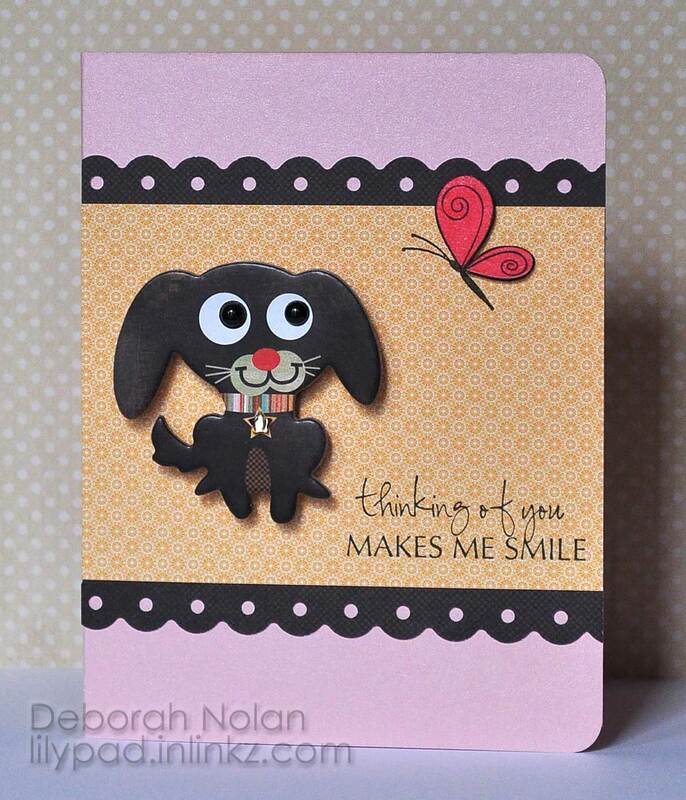 Adding various embellishments and varying the layout and sentiments gives each card a slightly different look. 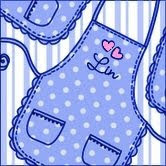 Thanks for coming by and please visit the Lily Pad Cards blog to see what the other design team members made this week. 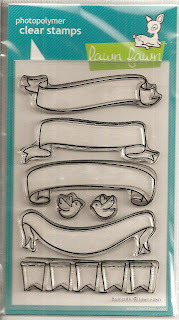 Then enter our challenge - the only requirement is to use some kind of embossing, your choice of supplies. 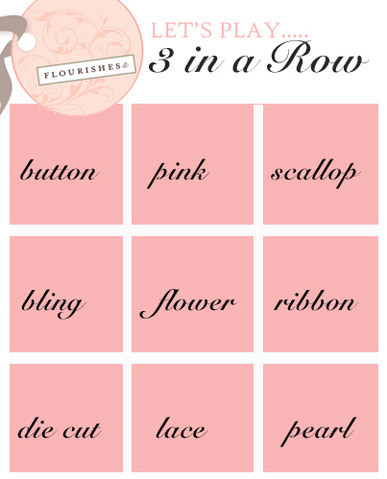 The Flourishes Release Week Challenge is "Words to Your Mother", using a sentiment directed to your Mom as your focal point. I spent Mother's Day with my parents and my sister Nancy, who also made a card for our Mom and her sentiment was this computer-generated one, which I absolutely ADORE. It describes exactly how I feel about our Mom. Sorry, Nan, but I'm lifting this one! Still playing with the technique from my previous post. I love gingham, and blue and yellow together! The gingham flowers are punched, then glued to the white cardstock before running the panel through an embossing folder. I'm entering this into Hero Art "Fabulous Flowers" challenge for this month. 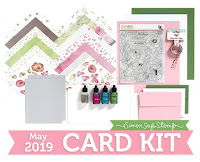 supplies: white, green, and blue cardstock, Making Memories Blue Gingham, BoBunny Buttercup Dot dps, Hero Arts CL374 Big and Small Flowers, CL342 Everyday Sayings, versafine onyx black ink, vellum, blue button, medium flower punch, Sizzix embossing folder "Flourishes, Floral"